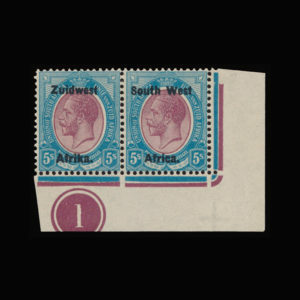 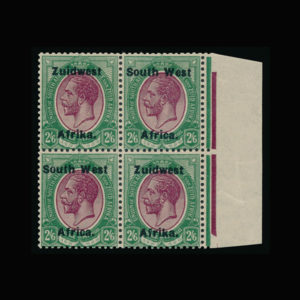 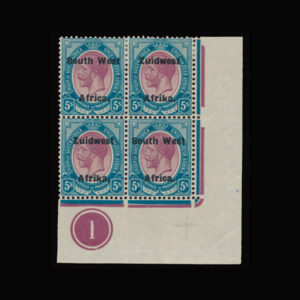 South West Africa 1927 King George V King’s Heads. 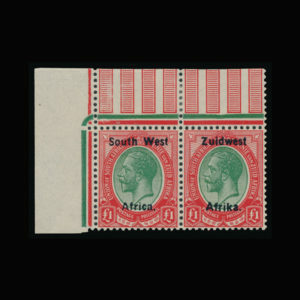 £1 pale olive-green and red. 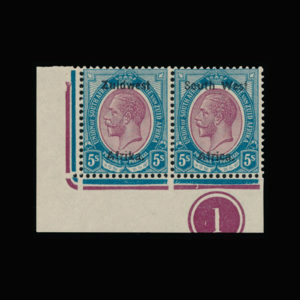 South West corner Plate number bilingual block of four. 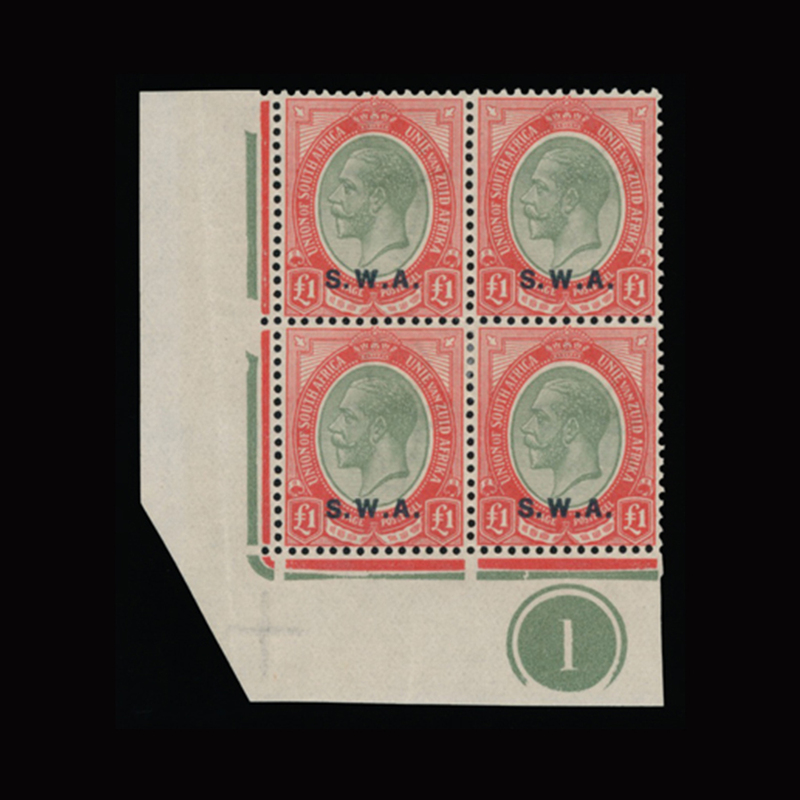 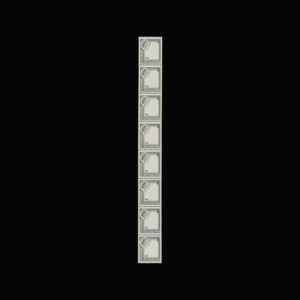 Part of the top margin has been removed. 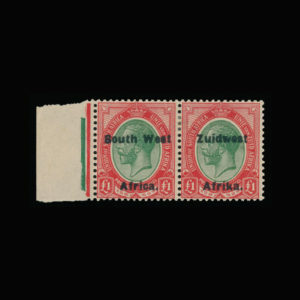 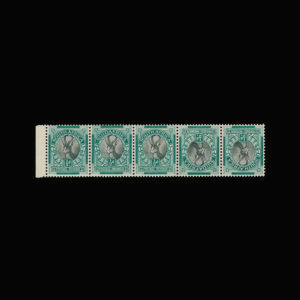 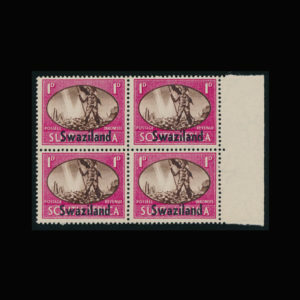 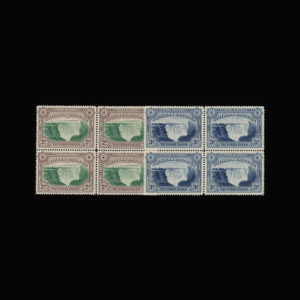 Superb mounted and unmounted mint condition (upper pair unmounted). 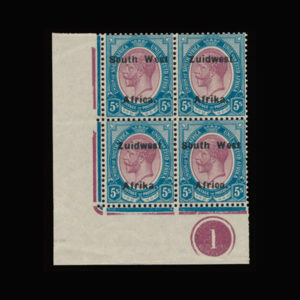 Royal Philatelic Society Certificate (1976). 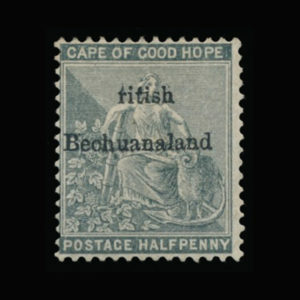 OUTSTANDING AND VERY RARE.